Telling jokes is a fun way for children to listen carefully, learn higher level language such as multiple meanings, puns and improve their social skills. For some kids it is very natural to tell jokes, but for others it is the delivery that they may have to practice. Using their clear speech and appropriate pausing is essential. Listening and playing off their partner makes a joke work or flop. 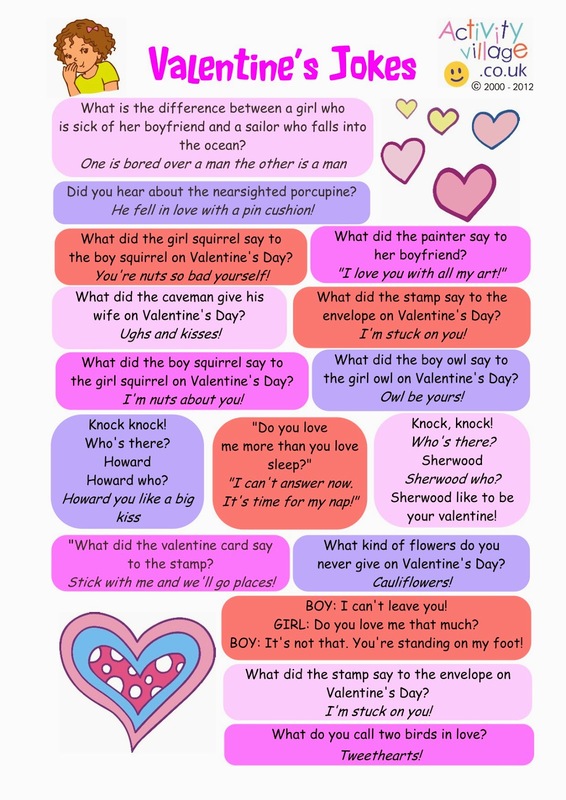 Practice makes perfect and here are Valentine Day jokes that you child can practice telling to your friends and family. Giggle, laugh and have fun! 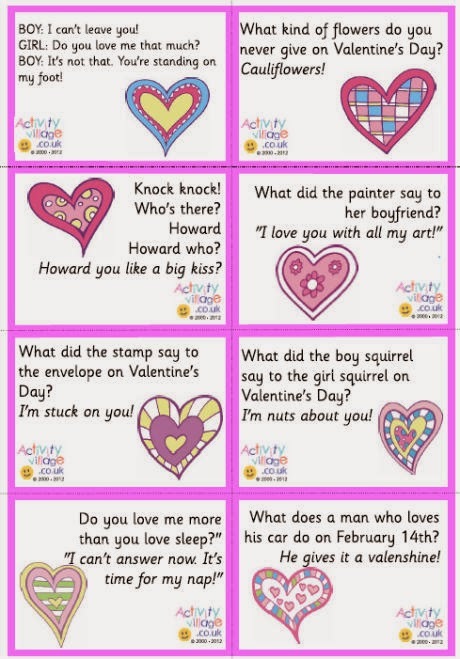 Click HERE as Activity Village has Valentine Joke lunchbox notes, bookmarks and more. Telling jokes is good for kids!